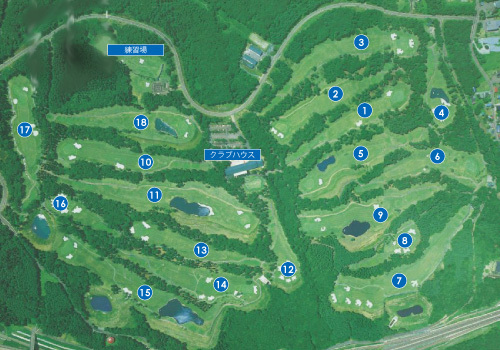 A 18-holes course that located on the foot of Mt. Myoko. It's only 2 min. from Myoko Kogen I.C. of Express Way. and many spas such as Akakura and Ikenotaira. Enjoy the play in the beautiful nature feeling the seasons. Do you rent the golf goods? We rent various type of golf goods. Ask for the goods and price. Because of the type, size, there are some goods that we can not offer the goods, so please ask us in advance. Is there any rules of using the shoes? We recommend you to use soft-spike shoes for your safety. Can I use casual clothes.? Please refrain from the excessive rough clothes.